They took advantage of some poor Kingdom kicking to assert their authority in the match, landing crucial points to open up a decent lead. They looked stronger across the pitch in the opening period, winning the key battles in midfield and giving their forwards the opportunity to get in behind. But a sloppy second half, combined with a much-improved performance from Kingdom, made for a tense and exciting finale. Tir Chonaill started brightly, getting a couple of early shots in and reaping the reward of a point in the opening minute. They doubled their lead when Adrian Hanlon was played in by Liam Gavighan and kicked over from 15 yards out. Kingdom got on the scoreboard a minute later, when a superb ball over the top from Aiden Dillone was picked up by Cian Tobin who slotted it through the posts. 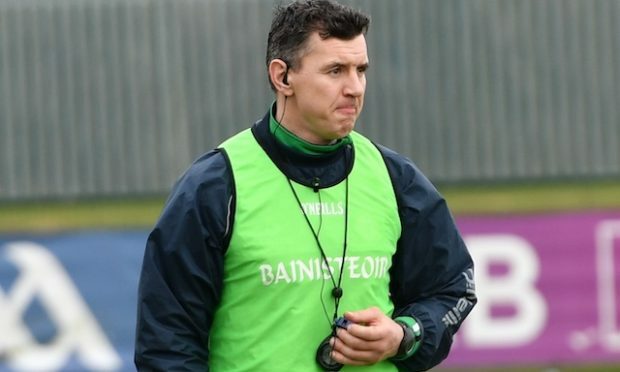 The physical, grappling nature of the match came to a head early on, when Hanlon was hauled down by Kieron O’Driscoll and the referee awarded a penalty. He stepped up to take the kick himself but his tame effort was easily saved by Ryan Munnely in the Kingdom goal. They didn’t let it bother them, however, and soon opened up a two-point advantage with another score. 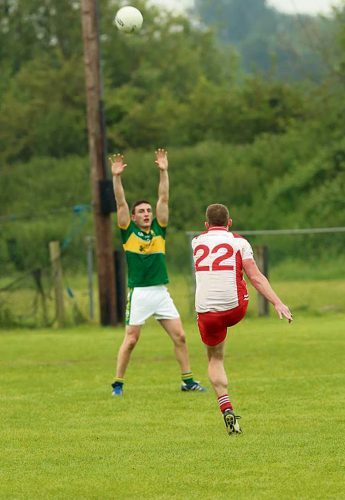 Kerry attempted to halt their momentum somewhat when Tobin added a free before two wild shanked efforts from Eamon Kenny and Martin Walsh sailed well wide of the posts. 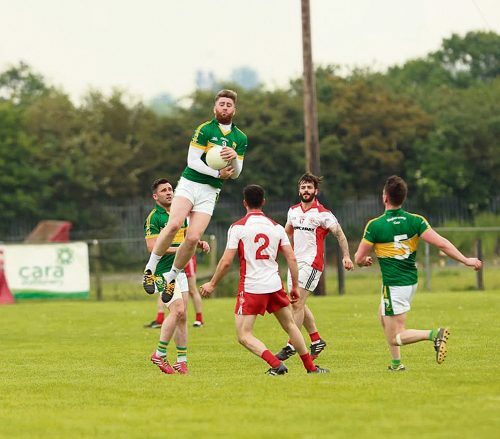 Tir Chonaill finally had something greater to show for their dominance when they scored a goal midway through the first-half. Gavighan then consolidated the three points by adding two more, but they still had to look over their shoulders when Tobin added his second free. 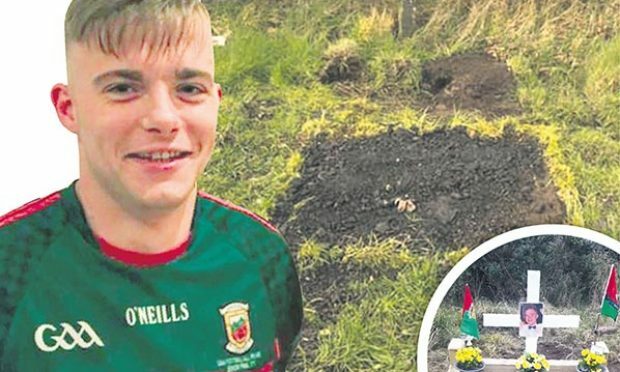 Another goal was followed by a further point as Tir Chonaill threatened to run away with it, before the referee brought Kingdom some respite by blowing for the half. But the men in red and white picked up where they left off and got off to a flying start in the second half by adding another point to their tally, before Gavighan chalked up another five minutes later. 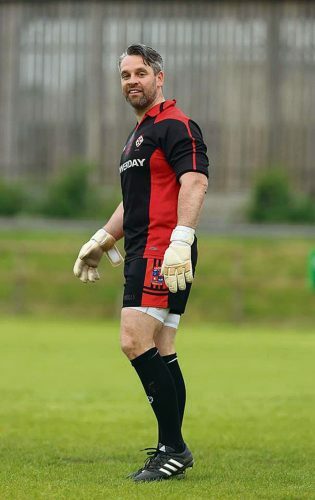 Gavighan was then involved at the other end of the pitch when he barged over Danny O’Sullivan and gave away a free, which Jason Perry duly dispatched. 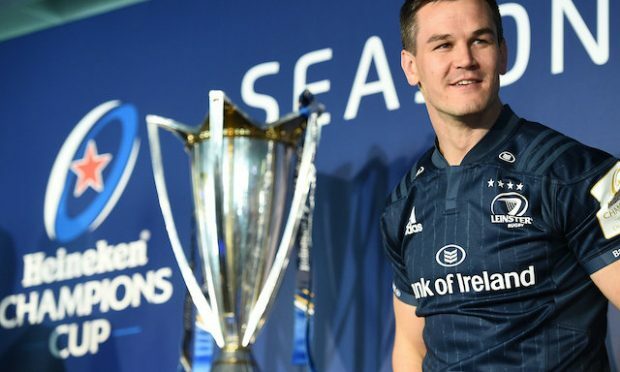 The two teams traded points – Hanlon struck the ball straight through the middle of the uprights while Kevin Crehaw beat his marker before knocking over from 20 metres. 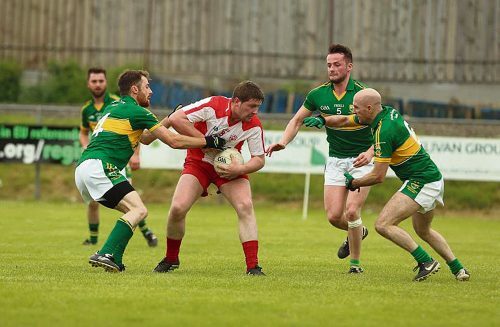 This last point seemed to kickstart the Kingdom comeback, as they exerted serious pressure onto the Tir Chonaill backline, forcing them into a series of errors. Ciaran Campbell tucked one into the bottom corner from a few yards out before Perry added a point. Minutes later and the ball was back in the net – some excellent work from the tenacious Dillone allowed Shane Rogers to find some space and fire across the keeper. Kingdom continued to press, sensing a famous victory, and they were rewarded with another point from Tobin after a good run and lay-off by Kenny. 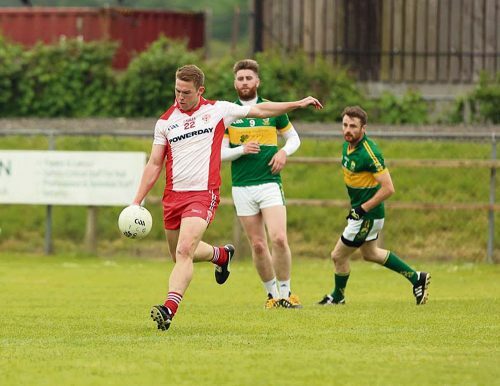 A couple of wides, which ultimately proved costly, were made worse when Hanlon scored twice for Tir Chonaill and it seemed as if the tie was over. 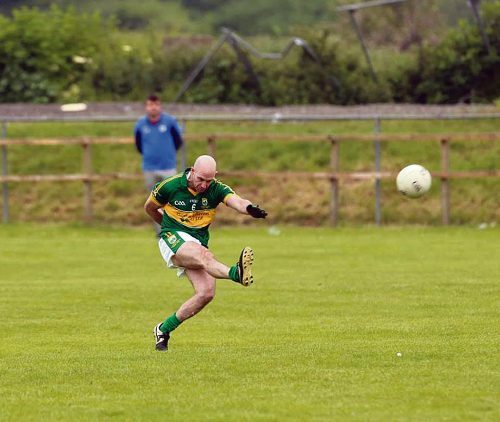 Kerry refused to accept defeat so readily, however, and another point from Perry brought them to within one goal. In the final minute they pushed hard for anything, a loose hand in the air, a piece of exceptional skill or a mistake from the opponent. 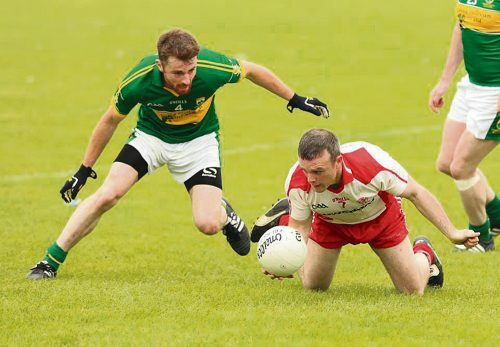 In a desperate and hopeful manner, Dillone pumped the ball into the danger area but there was no clean catch and Tir Chonaill managed to scramble the ball away.